in their own right. Here, a view of some intrigue from the staircase to LG level at Saatchi Gallery, through a previously exterior window of the Duke of York’s former barracks; to an open plan interior staircase. 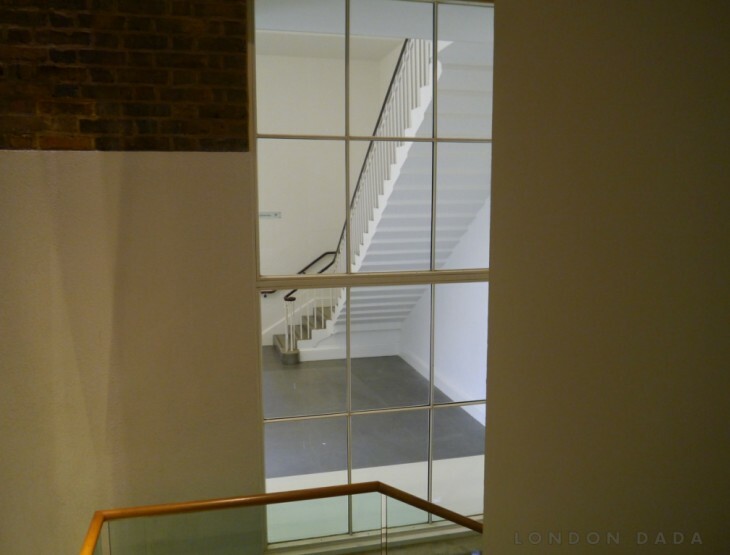 conversion/extension at Saatchi Gallery lending the work an aesthetic appeal. * June 2016, editions 1 -35 sold/reserved.